I have been working four 10s at work lately, which means I’m getting up earlier than usual. I personally don’t think life starts before 7am and lately I’ve been getting up at 6:20! This self-imposed torture is all for the greater good of having my blessed Fridays off. Since I’ve been waking up earlier, I need a little boost so I don’t have total zombie face. 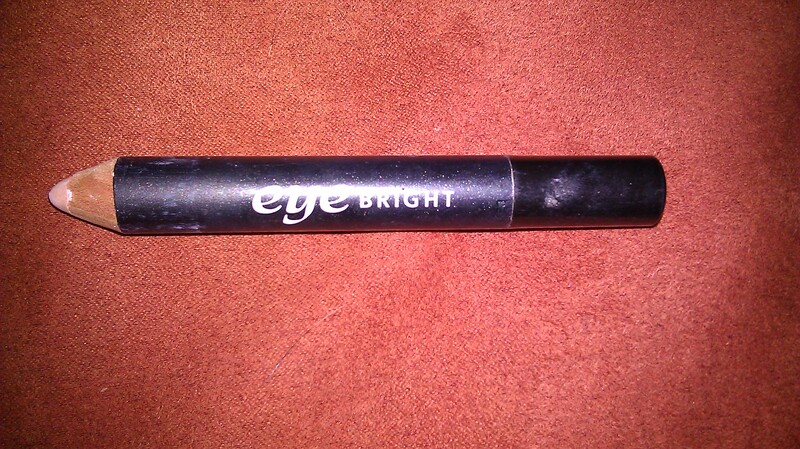 Like an idiot, I forgot I owned the Benefit Eye Bright Pencil! I’m so thankful I found it in the bottom of my make-up bag. It makes me look fresher and well rested and it can be applied in like 20 seconds. This creamy pink pencil is an instant eye brightener that Benefit describes as a coffee break in a stick. After applying your makeup in the morning, you’ll want to stroke this pencil on the inner and outer corners of the eyes and blend. It absorbs dark shadows for a wide-awake look. The pencil goes on soft and creamy and works on all skin tones. This eye brightener is only $20 and can be found at any Benefit counter at the mall and is also sold at Sephora. The pic below is a close up of my eyes at the crack of dawn (or 6:45am) and you can see that it just adds a soft glow under my eyes. Remember this is an extreme close up, from far away it’s a very subtle effect. I’ll try and take a pic from a normal POV for better perspective. Too bad this pencil can’t erase the redness of my eyes as well. I guess one miracle at a time right? I need this. Immediately if not sooner. I had total zombie face when i rolled out of bed this morning. Thanks for the recommendation! You’re welcome. Let me know what you think. This pencil definitely pays for itself.